Welcome and thank you so much for taking the time to visit our website, and my personal page in particular. 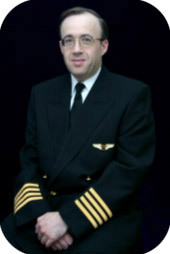 My name is Michael M Sperling and I am the Managing Director and Chief Pilot of Speedbird Air Ltd. I am a professional Executive Jet Captain and certified flight instructor. I have been involved in General Aviation and commercial aviation operations, both as a pilot and in aircraft broking & management since 1989. I have been privileged to have looked after numerous VIPï¿½s, personally flying many of them in, and to, various parts of the world. I look forward to having you too as one of my very special clients and being able to look after you personally and in the way which you so deserve. Please feel free to contact me anytime for further information.